NPR Student Podcast Challenge Returns! 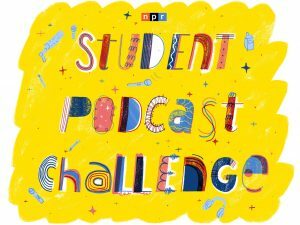 The NPR Student Podcast Challenge is back! The contest is for teachers with students between fifth and twelfth grade. Each podcast should be between three and twelve minutes long. We are inviting students around the country to create a podcast, then – with the help of a teacher – compete for a chance to win our grand prize and have your work appear on NPR. Submissions are open now through March 31, 2019. Teachers and students may want to read the official rules before starting this project. One thing to keep in mind is that submitted podcasts may not include music. The winners will be publicly announced on or about April 23, 2019. Winning podcast submissions will be featured in segments on Morning Edition or All Things Considered. NPR has put together a curriculum guide for educators called Teaching Podcasting. The guide can be downloaded. Lessons are broken into stages and each has an estimated amount of time that it takes. NPR also has a starting guide for students who are new to podcasting. It includes answers to frequently asked questions about podcasting, information about things that should make up their toolbox, and more. Judges will follow criteria to narrow down and choose the winners in two age groups – middle (fifth grade through eight grade) and high school (ninth grade through twelfth grade). NPR stated that after a year in development, RAD is being deployed for podcast listening measurement. RAD stands for Remote Audio Data. Collaborative minds and leaders from across the media industry have worked closely with NPR to develop and launch a new podcast analytics technology: Remote Audio Data (RAD), a method for sharing listening metrics from podcast applications straight back to publishers, with extreme care and respect for user privacy. NPR worked with a cross-section of nearly 30 companies to develop and test this new, parallel metric. NPR is excited to announce its open source release and launch in NPR One. 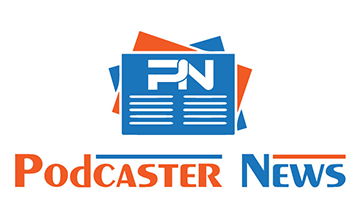 The industry leaders that are joining NPR in committing to implement RAD in their products in 2019 include: Acast, AdsWizz, ART 19, Awesound, Blubrry Podcasting, Panoply, Omny Studios, Podtrac, PRI/PRX, RadioPublic, Triton Digital, WideOrbit, and Whooshkaa. The following companies support and have participated in pushing RAD forward: Cadence13, Edison Research, ESPN, Google, iHeartMedia, Libsyn, The New York Times, New York Public Radio, Voxnest and Wondery. How does RAD work? Podcasters mark within their audio files certain points (quartile or some time markers, interview spots, sponsorship or advertising messages, etc.) with RAD tags (ID tags) and indicate an analytics URL. A mobile app is configured to read these RAD tags, and when listeners hit those locations in the file, bundle and send anonymized information to that analytics URL. The publisher can then use that data, from all devices, to get holistic listening statistics. NPR has a website where you can learn more about Remote Audio Data. The Futuro Media Group is seeking a Senior Editor for NPR’s Latino USA. It is an award-winning public radio program and podcast that focuses on Latinos and the Latino experience. The Senior Editor supervises the editorial and production process of the show, edits individual stories, and is responsible for overseeing the tone and content of the program, adhering to rigorous journalistic standards as well as consistently bringing cutting-edge storytelling to the show. The Senior Editor, along with the Senior Producer and the Production Manager form the three-part Latino USA leadership team. This is a full-time position based on Harlem, New York City, that reports to Futuro Media’s Executive Director, and works closely with Host & Executive Producer Maria Hinojosa and all other departments at Futuro Media. For full details, visit the Futuro Media job listing to learn about the duties and responsibilities of this position and the application process. 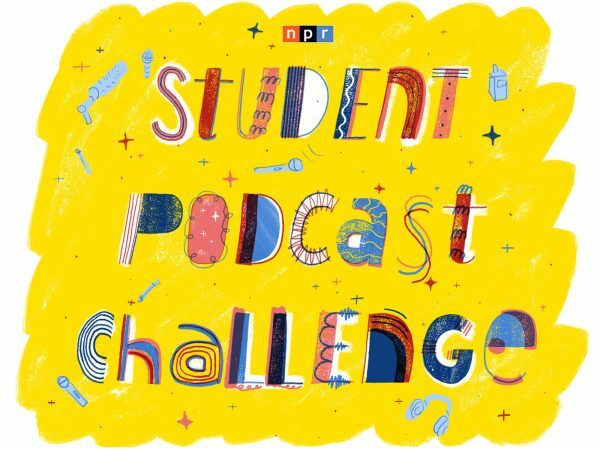 NPR has launched the first-ever NPR Student Podcast Challenge. They are inviting students around the country to create a podcast, then – with the help of a teacher – compete for a chance to win the grand prize and have their work appear on NPR. The contest is a chance for teachers and students in grades five through twelve across the country to turn your classrooms into production studios, your assignments into scripts, and your ideas into sound. Students do not need a lot of fancy equipment or a studio in order to enter the NPR Student Podcast Challenge. NPR states that students should be able to do this with just a smartphone and a computer, with easily available software. Students also do not have to be an expert in radio production. NPR is offering lots of help for students and teachers. It’s a good idea to read through it before you begin creating a podcast. One important thing to know is that your podcast cannot include music. NPR will open up the contest to entries on January 1, 2019, and close them on March 31, 2019, at 11:59 p.m. ET. Then, NPR’s panel of judges will pick two winners: one from grades five through eight, and one from grades nine through 12. The winning podcasts will be featured in segments on NPR programs Morning Edition and All Things Considered later in the spring of 2019. NPR, a thriving, mission-driven multimedia organization that produces award-winning news, information and music programming in partnership with hundreds of independent public raido stations across the nation, is looking for a producer for their Planet Money podcast. Full details can be found at NPR Jobs. Planet Money is a tight-knit, highly collaborative team producing one of the best and most popular podcasts around. We tell audio and web stories that explain complicated topics – in fun, creative ways. We’re expanding and trying some new things. NPR is looking for a producer “who can do it all”: book big name and no name guests alike, mix a podcast fast, pitch smart angles nobody else has thought of, and hone in on the best fact hiding in an NBER working paper. They want someone who naturally enjoys thinking and talking about economics and business, and who has ambitious ideas for stories (and needs somewhere to try them). The hosts of What’s Good with Stretch & Bobbito are Stretch Armstrong and Bobbito Garcia. They are featured in the film “Stretch and Bobbito: Radio That Changed Lives” from Saboteur Media. The film was released in 2015. Bobbito Garcia was the director, writer, and co-producer of the film. Music supervision was done by DJ Stretch Armstrong. During the 1990s, Stretch and Bobbito introduced the world to an unsigned Nas, Biggie, Wu-Tang, and Big Pun, as well as an unknown Jay Z, Eminem, and the Fugees. The total record sales for all the artists that premiered on their show exceed 300 million. The late-night program had a cult following in the art/fashion world and prison population as well. 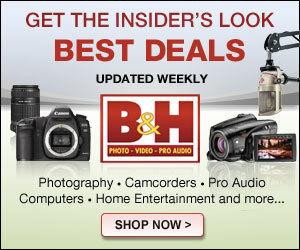 All would loyally tune in for the offbeat humor just as much as the exclusive tunes. Stretch and Bobbito brought a unique audience together, and created a platform that changed music forever. In the What’s Good with Stretch & Bobbito podcast, hosts Stretch and Bobbito interview cultural influencers, bring their warmth, humor, and a fresh perspective. They discuss art, music, politics, sports, and what’s good. The first episode features comedians Dave Chappelle and Donnell Rawlings., who preview their month long residency at Radio City Music Hall. Episode two features Oscar winning Mahershala Ali, who talks about his process for getting into character and how faith informs his work. The most recent episode (at time of writing) is Episode three, which features best-selling author Eddie Huang. …Up First will publish every weekday by 6 a.m. EST and feature lively conversation about the day’s top news stories produced with the same journalistic DNA of Morning Edition. Hosts David Greene, Rachel Martin and Steve Inskeep will talk with NPR journalists and correspondents to preview the news that will drive the day. NPR has promised that its Up First news show will be available in all of the typical podcast-listening places. If you’d like to get your morning news fix from NPR, you can subscribe to Up First in iTunes or listen to the show within the NPR One app. If any organization can make a go of a daily news show, it’s NPR. Time will tell if it turns out to be a successful endeavor for the public radio juggernaut.